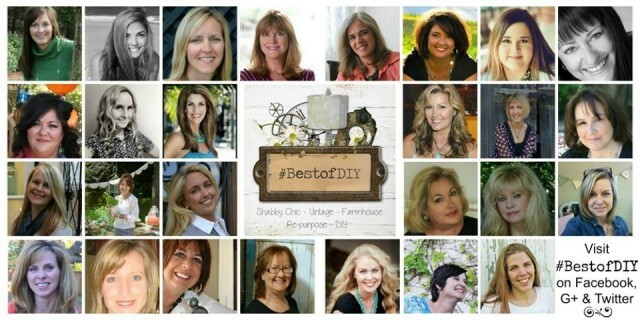 I am so excited to be a part of the Best Of DIY party,and this group of amazing and talented ladies! After visiting here please make sure to stop by and visit these other fabulous blogs! I am sure you noticed that I adore vintage salvage pieces,especially pieces that have that a wonderful chippy patina. 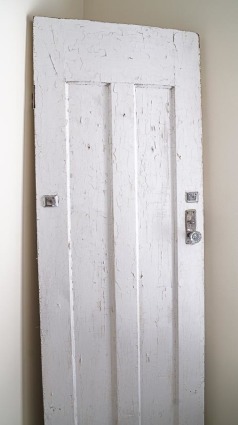 As much as I would love living in an older home with cool vintage doors,and amazing architectural elements I don’t. But that does does not mean I can’t enjoy those pieces in my home. 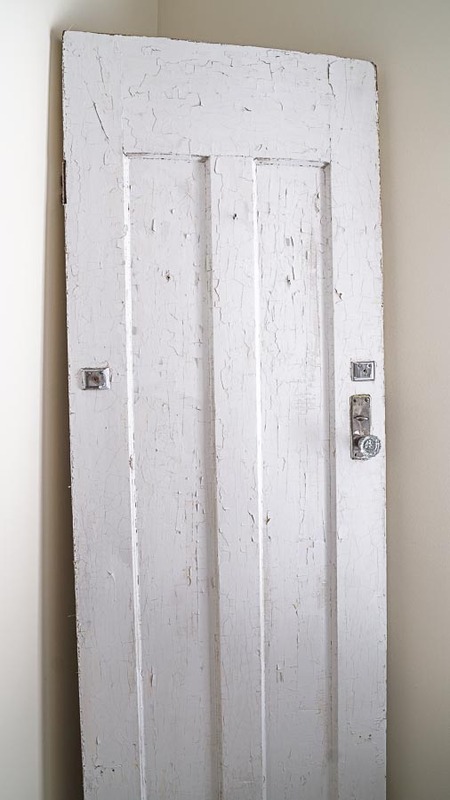 I have a thing for old doors,especially when it has a lovely color and patina. And of course beautiful hardware. This is one of the four doors I have in my home,I absolutely love that glass knob too! This door has wonderful chippy paint and a little bling just my style. For fun I have this propped up in the corner of my dining room. Sometimes I will add a mirror,or a wreath,and sometimes I love it just as is. On the opposite side of this room I added this chippy post that was a recent find. These pieces are like art to me,they tell a story,they are a part of history,another place and time. This may have been on someones porch,and now it’s in my dining room. 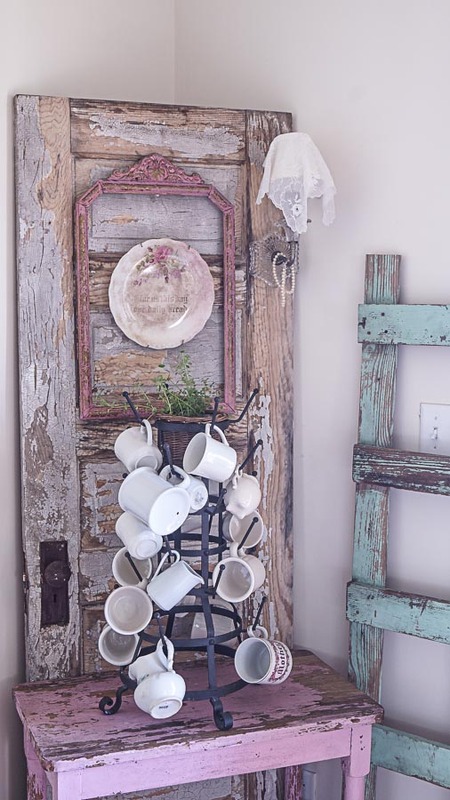 In this same room, my dining room I have this old gate,it’s a little unusual and I have never seen one quite like it before. I added those Angel wings that were found while out shopping with my daughter. 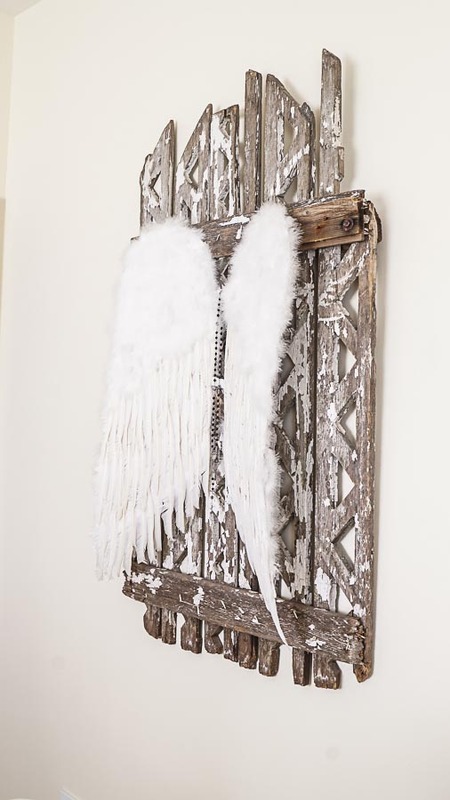 Angel wings can be left out all the time I don’t think they are just for Christmas. Let’s go into my kitchen. A few years ago I wanted to join my cabinets together that were above my kitchen sink. 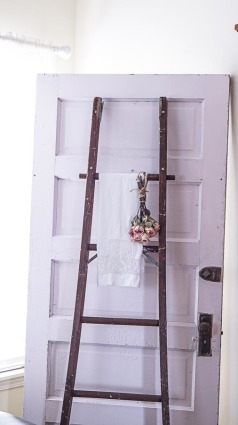 So I added this old white ladder. This is a must now not only because of I wanted to join my cabinets,but I have my old scale hanging from this,we usually keep our apples in this scale,and they don’t stay long. And I also have baby boos that I added since this photo. You can see I also have that old chippy window just for fun. The opening above my sink is just a big square ,this window and ladder gives this space a little character. I bet you noticed those big corbels,again just a fun element,that is a one of a kind. 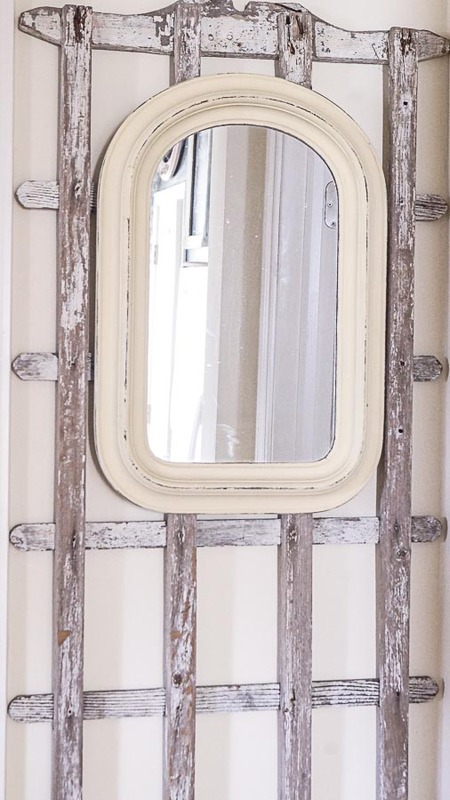 Yes another vintage chippy door,I love adding doors to corners. It adds some interest and I just love it! Another architectural piece is that ladder,it adds a pop of color. I will often hang lace or vintage lace hand towels from these. 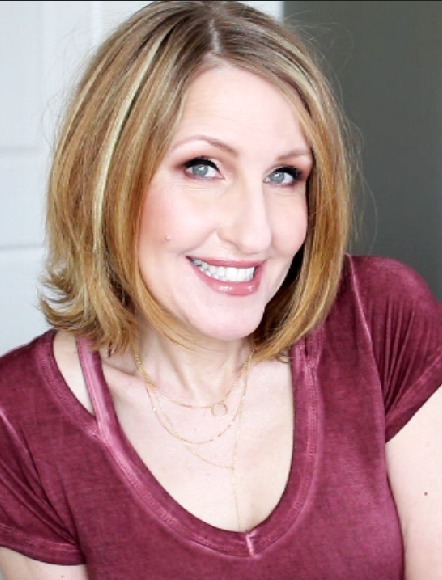 In my family room has…..yes another door! My corner needed something,but not furniture,and soon I will share why,more on that another day. This works great and I am always changing the way it looks. I don’t change everything in my home because the seasons change. I work with what I have and add to it. I am always excited when I find scrap pieces of wood. I never really have a plan for what I find,but I always eventually figure out what to do with the pieces I find. Like this pair of scrap pieces. 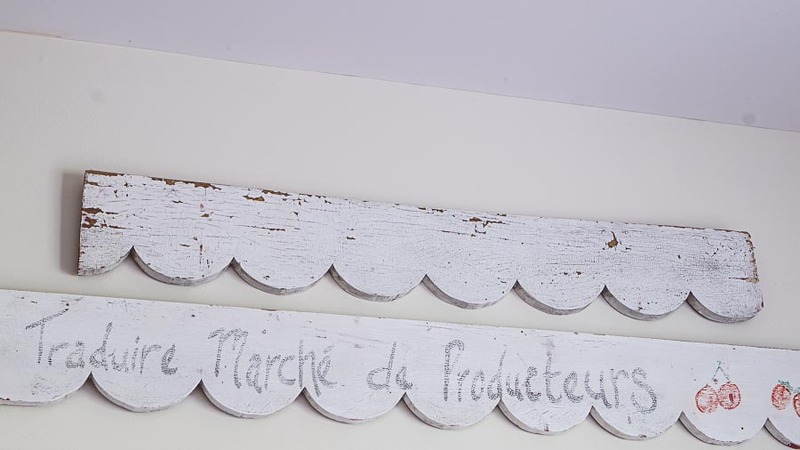 I put these together and turned it into a vintage inspired French farmers market sign. In my living room I have a very tall ceiling. Instead of adding a painting I decided to add this old dormer vent. This space needed something else so I added that old wood screen,turned it sideways and added an old painting with a bunch of dried flowers. Yes that’s another chippy old door,it’s unusual with that glass opening. 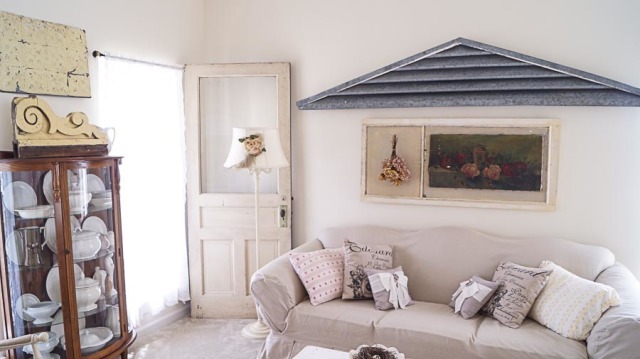 Another vintage corbel brings a little color,along with that piece of metal ceiling. A year ago I added this old garden trellis,with all of it’s lovely chippy patina to this wall just outside of our mudroom. I added the mirror for the reflection of light in this dark little space,but it’s great to have a mirror right where we leave. It’s nice to be able to check your hair or makeup before walking out the door. We all use this,it’s decorative and functional. Next time you are out treasure hunting don’t pass up on that cool chippy ladder,or post,or salvaged piece of wood because you can turn it into art,or a repurposed one of a kind! Love the angel wings! What a gorgeous home…have a great weekend. Your home is beautiful. 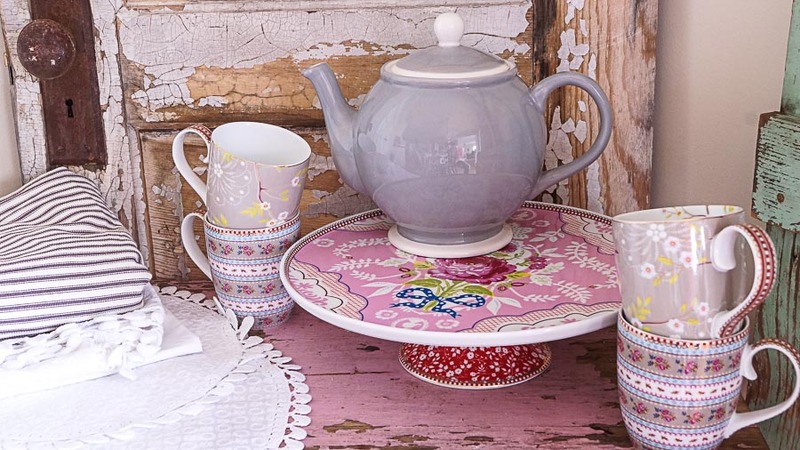 So much character and style with your cherished chippy finds,Anne. 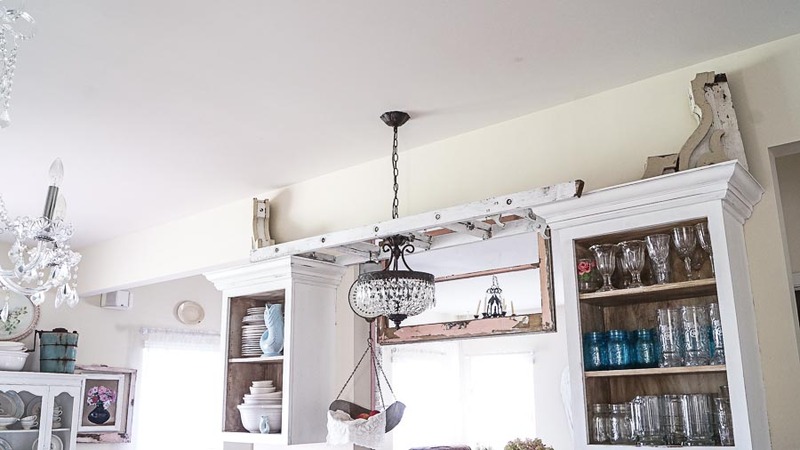 I especially love the ladder on top your kitchen cabinets and the big dormer over your sofa. Happy Fall! 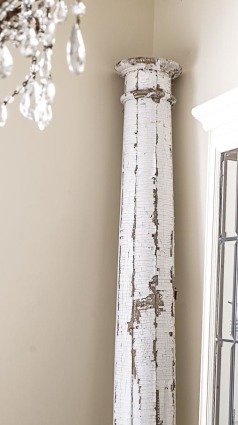 I love how you use vintage architectural pieces in new ways. I’ve also never seen a gate like yours! Thanks Paula! Yes that gate was a fun find!